Over the breadth of my 30-year career I have built successful companies and supported civil society organisations,advised business leaders and led development programmes around the world to achieve measurable results. During this time, I’ve learned what it takes to tackle difficult issues such as gender equanimity, how to build resilience in facing adversity and setbacks, how to infuse business with purpose and how to engage people in meaningful work to ensure they bring their best of themselves to any endeavour. I have worked with and learned from great leaders, from corporate executive suites to women in the rural villages of India and Bangladesh to support them in finding their courage and their voice to transform the subjugation and marginalization that is still so much a part of their society. I have facilitated hundreds of programmes to empower women and men to be authors of their own lives and to fulfill their potential. What sustains me on my journey is my enduring commitment to deep inner work and adherence to spiritual practices that I know to be necessary in being a conscious leader – myself and others. My new venture the FLOURISH initiative fully expresses my commitment and purpose – creating global initiatives of positive change at all levels of society for the fulfillment of human flourishing, business prosperity and a life sustaining future. As an Entrepreneur Karen has founded and supported 5 successful international start-ups, along with a 15 year span as a business consultant. At the start of her career and motivated by her passion and commitment to wellbeing, she attained several diplomas in alternative health. Passionate about making a difference for women’s health and empowerment she co-founded her company and led what was previously a fringe cottage industry of Aromatherapy in Australia into a mainstream multimillion dollar business, exporting products and delivering educational programmes to women in five countries. In 1999 she was a finalist in the Telstra Business Woman of the Year Awards. Since selling her company and moving to the UK in 2002 she has worked as a business consultant and facilitator of development programmes for leaders and their teams. 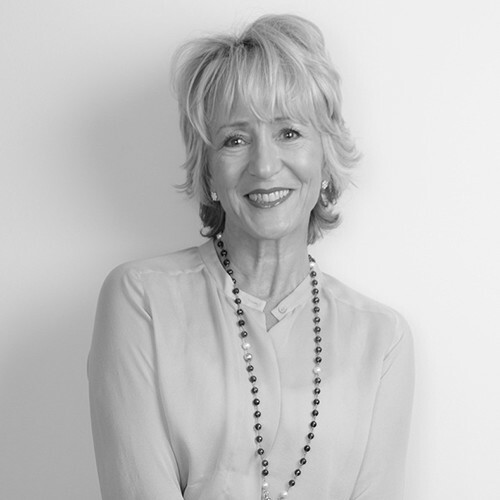 She has worked on major breakthrough projects and delivered programmes across a diverse portfolio of international corporations and sectors;Unilever, BP, BHP Billiton ,Molton Brown, Talisman Energy,BT, Maclaren, The Wealden Times, Save the Children. Lobbied the Australian Government Therapeutics Good Administration to include Essential oils and traditional remedies as therapeutic substances. Introduced Aromatherapy into Drug Rehabilitation Clinics and Hospital Palliative care units. Trained nurses in the application of essential oils for healing and recovery. Tackling some of the most entrenched social and cultural issues to change out-datessystems, structures and thinking in both the developed world and developing countries, visiting India and Bangladesh to work at grassroots level to end the subjugation and marginalisation of women. Nove Colli – competed in an Italian Gran Fondo race – 11,000 riders only 650 were women. Finishing at number 6,547 rider.